We are a small, family company and pride ourselves on nurturing and training you to drive heavy vehicles confidently & safely, gaining your truck driving licence in as little as one day of training. Located in the Sutherland Shire, we are only thirty minutes drive from Sydney CBD and 20 minutes drive from the airport. We spend most of our days on the road in our trucks, training & assessing drivers of heavy vehicles. It’s what we do and love! 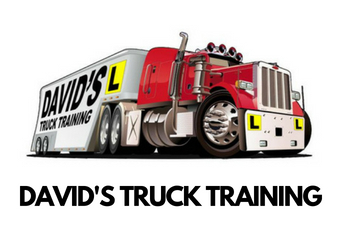 When you get your heavy vehicle licence with David, you know you are training with someone who is well respected in the transport industry. He has been driving trucks since the late eighties and has been teaching heavy vehicle licence students since 1997. We are ADTA members and RMS qualified to teach and assess all vehicle classes including LR (Light Rigid), MR (Medium Rigid), HR ( Heavy Rigid), HC (Heavy Combination) and MC (Multi Combination). We also have a car driving school. For those coming from out of town there is a lot of reasonably priced accommodation available locally. Join our thriving facebook community. Its a great way to meet other liked minded people and network within the industry, and keep up to date with jobs in the transport industry. For more information on accommodation or our HEAVY VEHICLE Licences and TRUCK DRIVING Courses please give David a call CONTACT US. A relaxed experience which didn’t disappoint..... enjoyed the day and highly recommend Dave ! Genuine professional. He has helped myself, 2 mates and both my sons. Great Day! Dave is patient and explains everything in an easy to understand way. thanks again!! Fantastic training by a great bloke!! He trains you so you will be confident on the road and he is great for a yarn. David knows his stuff. Very patient and helpful. Do it right first time with David. Dave is a very knowledgable and patient trainer. Highly recommend him for any Truck training!! Did my HR in 2005 and HC in 2006 with David and was very happy with the training I received. Dave has a very easy going manner which almost hides his incredible professionalism. A good day of learning thanks Dave. David made it enjoyable stress free day! He's a brilliant instructor. Had a great day with Dave teaching me the ropes. Highly recommended, such a nice guy, him and Brian, thanks so much.